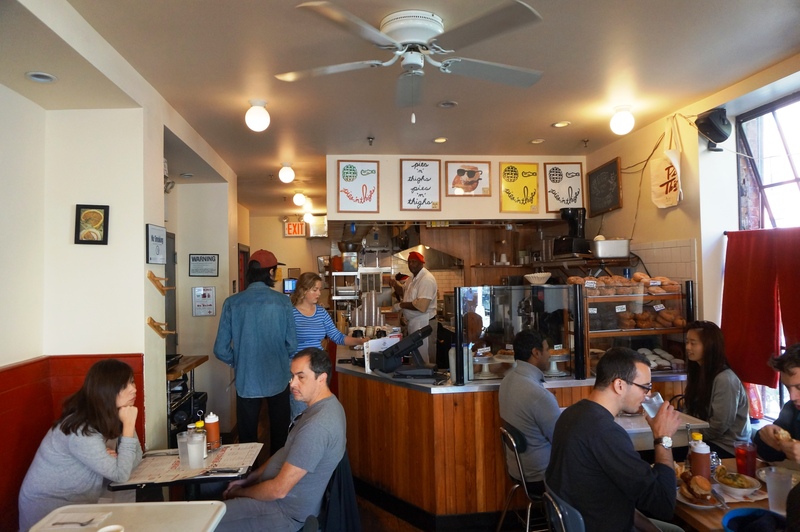 I went to Williamsburg on my last day in NYC and I was expecting some great fried chicken from Pies ‘N’ Thighs, and from what I had heard great things in general. 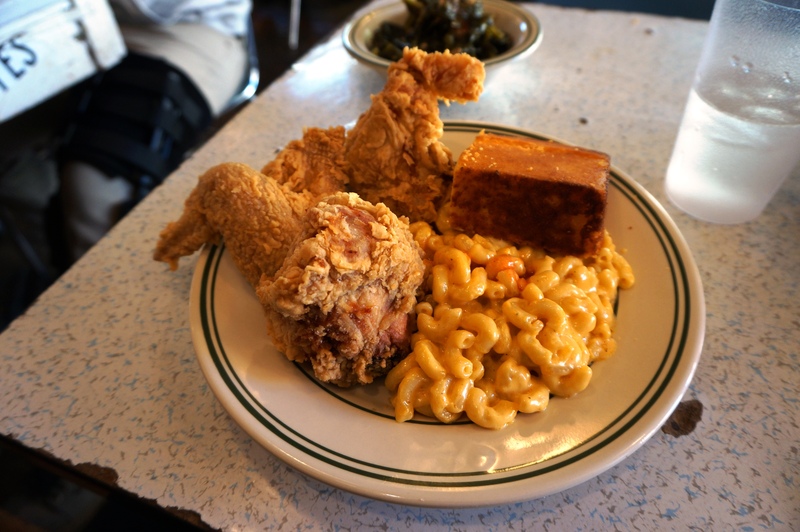 I ordered the chicken box, 3 pieces, cornbread, mac n cheese and I got a side of smoked pork collard greens. 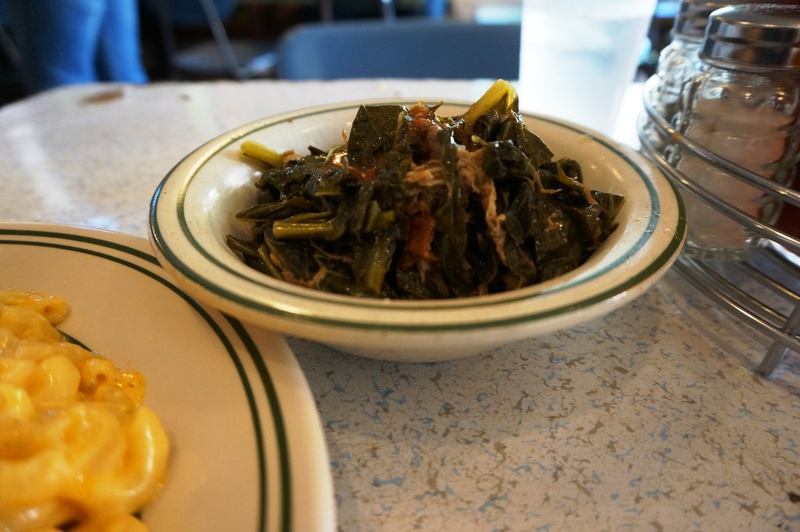 The mac n cheese was okay, a sufficient side, the collard greens were great, the addition of hot sauce and pork was outstanding, I thoroughly enjoyed them. The chicken was crispy on the outside and juicy in the inside, but I just didn’t get anything special from it. Maybe it was the atmosphere or the lack of service or the long wait, whatever if was the chicken was good but just left me feeling unsatisfied. Posted on October 28, 2015 by AdrielPosted in Fried Chicken, New York, United StatesTagged fried chicken, New York City.